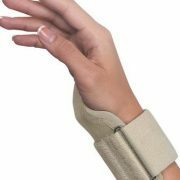 The durable plastic base stabilizes the wrist and retains its shape even after continuous, extended use. 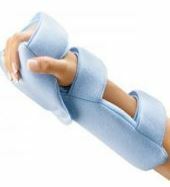 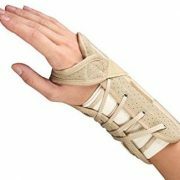 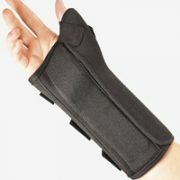 Soft foam cover gives padding to the wrist and hand for comfort. 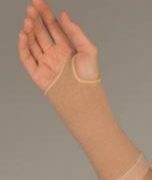 Inner fabric wicks moisture away from the skin to preserve skin integrity. 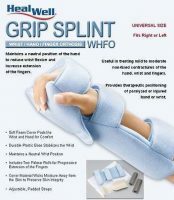 Includes two palmar rolls (1.5″ and 1.75″) to accommodate various levels of finger contracture or hand sizes and/or offer progressive extension of the fingers. 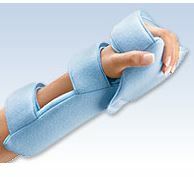 Features two adjustable padded straps and a one-piece washable removable cover. 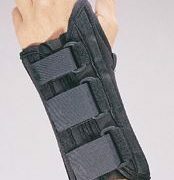 Not intended to immobilize the wrist or hand.